US-based Donatienne Designs, designs and manufactures their bags in Los Angeles. Only limited numbers of each bag are available so it's unlikely you will see it on others. 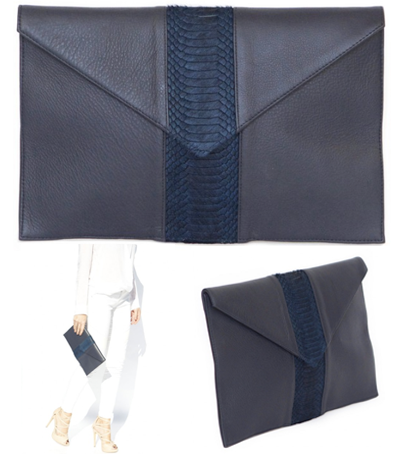 This envelope clutch features laser cut fur and is appropriate for day and night. The Tilly is a small shoulder bag that can be worn cross body or, because of its detatchable strap, as a clutch. 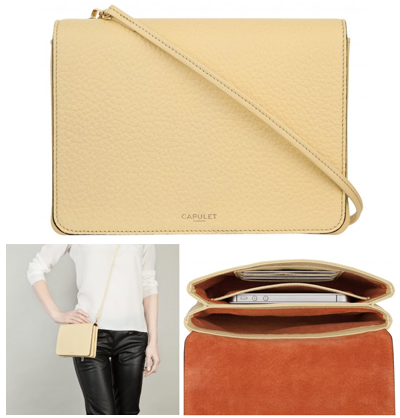 It has a coin pocket, card holder and phone pocket in its two seperate compartments and is lined in a soft orange suede. This citrus tote from Annabel Ingall will add a bright pop of colour to your autumn wardrobe which is great to counteract the gloomy weather we are starting to have. The Pippa by Modalu is a lady-like bag that would be great for work and travel. It comes in a really wide range of colours - around 18 in this size - so there are alternatives if you not a fan of the navy. 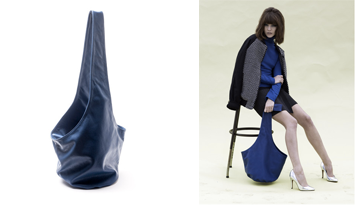 The Detour bucket bag from Marie Turnor is much less structured than other bags here and can also be worn cross body.